7 days from £2342pp plus international flights. A family safari is a wonderful experience. 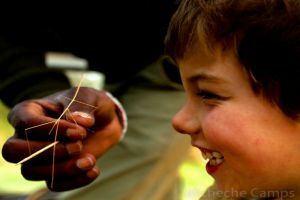 Watch your children come alive with wonder as they experience nature, wildlife and wilderness each day. With no two days being the same, it's unlikely that they will be bored. Wake up the wildlife warrior in them, they are the conservationists of the future! This two centre holiday provides an all-round family safari experience. Starting in the malaria-free Ol Pejeta Conservancy in Laikipia and moving on to one of Kicheche's Masai Mara camps. This is priced on staying at Kicheche Mara, but an upgrade to Kicheche Valley is possible for a supplement. Kids (and parents) get to enjoy a host of exciting activities. There's plenty to keep everyone interested and entertained. Learn how to track and identify animal prints, make a bow and arrow, throw a Maasai spear, identify insects and butterflies, have a go at canoeing, visit a local school. 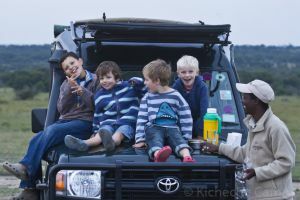 Optional activities include an opportunity to meet Ol Pejeta's anti-poaching dogs and the kids can engage in a game of hide and seek with them. A visit to the Ol Pejecta Chimpanzee Sanctuary is always a rewarding experience. Ol Pejeta is the home of the last two living northern white rhinos and you can spend a wonderful hour with them. Game in the Masai Mara conservancies is a year round phenomenon and if you travel in July - October there is an excellent chance you will see the impressive wildebeest migration in action. Hundreds of thousands of wildebeest and zebra making their annual trek across the Mara plains, a sight to behold. There is plenty of activities to choose from today. You may want to try your hand at lion tracking, mountain biking or canoeing. 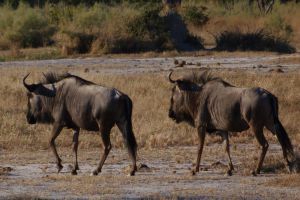 Game drives are of course on offer or you could take a walking excursion with one of the guides and a ranger. (Walks can be adapted to suit different ages.) Enjoy a picnic breakfast before continuing. Lunch is back in camp and then this afternoon you can choose between a game drive, visiting one of the ranching programmes or the Wildlife Centre. Back at camp, drinks and dinner will be served before you turn in for the night. Breakfast, lunch, dinner. DAY 6: MASAI MARA CONT. This morning, rise early and enjoy an exhilarating game walk. Children over 12 can enjoy this, for those under 12 we can arrange a nature walk near camp. The walk takes about 2 hours and allows you to get a different perspective of the land you have been exploring for the past few days. 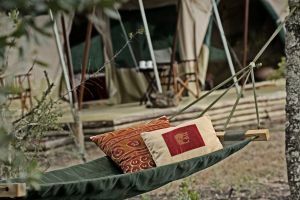 Lunch will be served back at camp and then this afternoon you may want to visit a traditional Masai manyatta (village) or perhaps go out on another game drive. Breakfast, lunch, dinner. Price notes: 2019/2020 guide price pp assuming a family of 4 (with 2 children under 12 yrs. all sharing one room - including all special offers we can apply and is the total family cost divided by 4 people): 1 Mar - 8 Apr, 25 May - 30 Jun, Nov – 19 Dec 2019 from £2342 3 Jan – 28 Feb, 1 – 31 Jul 19 from £2462. 01 Sep – 31 Oct 2019, 20 Dec – 02 Jan 2020 from £2759. 3 Jan – 28 Feb, 1 – 31 Jul 2020 from £3166. 1 Mar - 14 Apr, 28 May - 30 Jun, Nov – 14 Dec 2020 from £2836. 01 Aug – 31 Oct 2020, 15 Dec – 02 Jan 2021 from £3425. 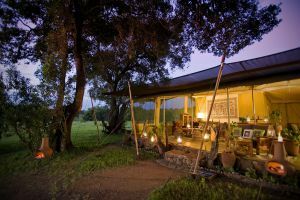 This safari is also wonderful for adults without family too of course, and the price pp for 2 adults is from £3410 to £5030 until Jan 2021. Accommodation on a shared basis; land transfers from JKIA to Wilson Airport return; local flights Nairobi-Nanyuki-Masai Mara-Nairobi; full board including drinks (except champagne); unlimited game drives; escorted bush walks; services of a qualified guide; laundry and conservation fees. Kicheche Valley only - night drives and bush breakfasts. 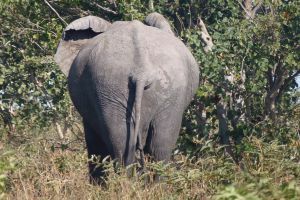 International flights; departure taxes; visas; travel insurance; meals not specified; drinks; items of a personal nature; tips; village visit entrance; Chimpanzee Sanctuary entrance; entrance to anti-poaching centre. 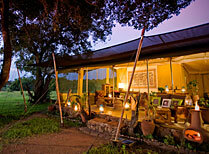 NOTE: On special offer conservancy fees for extra night not included. The child going for free does not include conservancy fees or flights. This holiday starts and ends in Nairobi. International flights from the UK cost from around £750, depending on season and availability. We are ATOL-bonded and can book these for you. Departure dates: This is a tailor made holiday that we can arrange for you at any time of the year. Just let us know when you'd like to travel and we'll do the rest. Laikipia plateau straddled the equator north west of Mount Kenya. 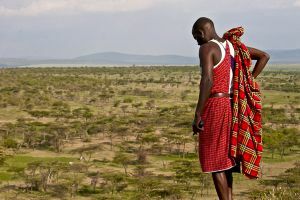 Lewa Conservancy is one of the gems of this region. Meru N.P. was made famous by the Adamsons of Born Free fame.